Acetylcholine is a neurotransmitter—a chemical messenger that helps carry signals across a nerve synapse. It was the first neurotransmitter to be discovered, and has been heavily studied. It is also the most abundant neurotransmitter and is present in both the central nervous system and peripheral nervous system. Acetylcholine serves both excitatory and inhibitory functions, which means it can both speed up and slow down nerve signals. 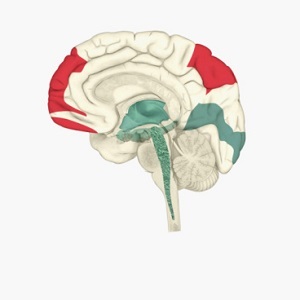 In the central nervous system, its role is primarily excitatory. It plays a role in arousal, memory, learning, and neuroplasticity. It also helps to engage sensory functions upon waking, helps people sustain focus, and acts as part of the brain’s reward system. Acetylcholine helps maintain rapid eye movement (REM) sleep, the part of sleep during which people dream. In the peripheral nervous system, it helps with the contraction of cardiac, skeletal, and smooth muscles. Imbalances in acetylcholine can contribute to the development of myasthenia gravis, an autoimmune disorder that causes muscle weakness and fatigue. The cholinergic portion of the brain is the area of the brain that produces acetylcholine. Damage to this portion of the brain is linked to the development of Alzheimer’s disease. Many people with Alzheimer’s disease have altered levels of acetylcholine. Cholinesterase inhibitors are commonly prescribed to people with Alzheimer’s disease in an effort to slow the development of the illness by preventing the breakdown of acetylcholine. Acetylcholine also plays a role in Parkinson’s disease. Acetylcholine works together with the neurotransmitter dopamine to enable smooth movements. When there is an imbalance between acetylcholine and dopamine, movements can be shaky and uneven, a hallmark of Parkinson’s disease. I see a lot of my symptoms.